Music is in our blood, it's that simple. We've been bringing the internet only the highest quality instruments for 5 years now. Our parent company is in the top 10 pro audio retailers in the United States and we stand behind every product we sell. Our seasoned team of musicians, recording maestros and customer service groupies are here to answer any technical questions you may have and make your shopping experience a pleasant one. Shipping methods are available anywhere UPS and USPS deliver, additionally all shipments from GuitarJar.com are available with free ground UPS shipping to the continental United States. Guitar Jar does not pay any postage (to and from, taxes, duties and brokerage fees) on international returns and exchanges. All transportation costs will be the buyer's responsibility. Customer is responsible for transportation of the item back to Guitar Jar (this includes return shipping for our non-local customers). 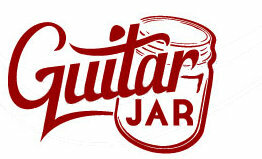 For exchanges of product within the United States Guitar Jar will pay for shipping of the new replacement item back to the customer. Customers must contact us within 15 days of delivery to request a return or exchange. Please feel free to write or call (855) 808-8861. Due to sanitary issues, we cannot accept returns for items used at the mouth or ear. If the item is defective, we would be happy to offer a replacement of the same model. Any open software or digital media storage including but not limited to: control CD's and vinyls, eLicensers, SD Cards or any other licensed material. All returns for refund will incur a 14% restocking fee (including defective items that are not exchanged, damaged items, and DOA items). Defective items can be exchanged for a working unit with no restocking fee (customers must pay for transportation of unit back to Guitar Jar), but any return for refund will incur a 14% restocking fee. We cannot accept returns on any Auralex products. We will, however, offer exchanges in the case of a defective product. Items returned in unopened resalable condition will receive a full refund MINUS cost to originally ship the order. Items deemed by eBay to have "Free Shipping" are still subject a refund minus the actual cost to ship.